I was homeschooled as a child. I loved it, of course. But looking back on those days, I realize the experience was even better for me than I ever could have known at the time. People often ask me if I've ever felt like I may have missed out on some important something by not going to school. The answer is no, not at all. 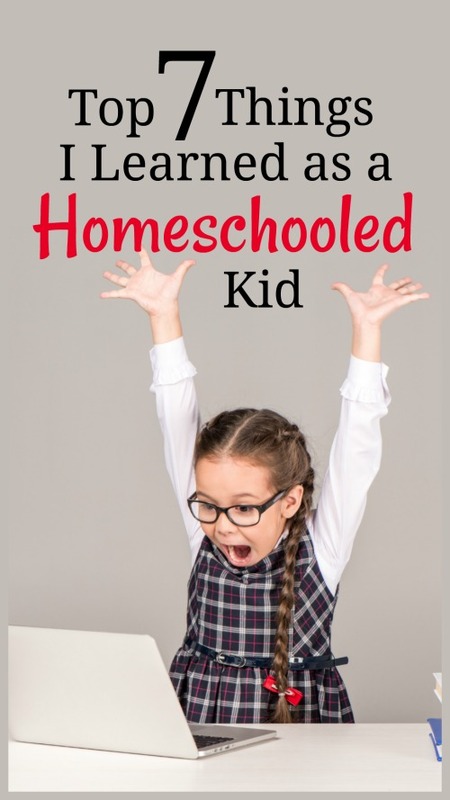 In fact, I think I learned some important things as a homeschooled student that I may not have learned otherwise, and I think many of those lessons helped get me where I am today. 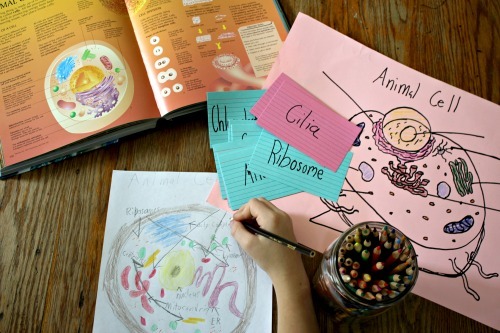 The biggest growth gifts I received from my homeschooled days have absolutely nothing to do with which curriculum we used—or in my case as an unschooler, didn’t use. They didn't come from a book, nor did I ever once write an essay on them. However, these seven skills are some of the most important things I’ve ever learned, and are the reasons I am now homeschooling my own child. Being homeschooled gave me the freedom to see the fluidity of the world. I was never crammed into a box. And I never saw any reason to stuff other things (like my problems) in a box, allowing myself to see only one “right” way or one “right” answer. I was also expected to solve my own problems and direct my own learning, for the most part. In many cases, this meant I had to get creative in order to fix things or to find new ways to get things accomplished. This was not parental neglect, mind you. It was an example of my folks giving me the opportunity to figure out how to navigate the world in my own way. Outside-of-the-box thinking has proven to be an exceptionally wonderful skill that I use on a regular basis. To this day, I never settle for a less-than-stellar situation or solution because I know there’s always another way, even if it might seem a bit unusual to others. Because I was a self-directed learner, I got to invest my time in the things I really cared about. I didn't have to waste the day learning stuff I would never use. That said, it did not mean challenges never arose. I faced plenty of challenges as a homeschooled student, but they were challenges I wanted to overcome because the projects I was doing held value to me. They mattered. This taught me the kind of perseverance that I still carry with me today and use to help me achieve my dreams. Another great thing I learned as an unschooler is this: If I'm not enjoying what I'm doing, it probably isn’t worth doing. Obviously, we all have to do some tasks that are no fun no matter how we slice it or dice it—but overall, even challenges can be enjoyable, to some extent, if we're doing the hard work in order to accomplish a great end result. The truth is, if I'm ever miserable at my job or hate where I live, I know I have the power to fix it. Finding a way out is where thinking outside-the-box comes in. Of course, charting my own path from an early age meant learning responsibility pretty quickly. Everybody has to learn this skill at some point, so I’m not going to claim I wouldn’t have learned it otherwise. However, I firmly believe that in learning how to take care of myself when I was very young, I was given room to make mistakes without dire consequences. The act of making good choices is now ingrained in me, meaning fewer big mistakes in my adult life. 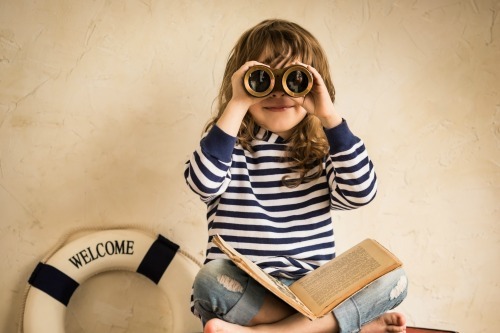 When you’re homeschooled and you want to dive deeply into a certain topic that your parents know nothing about, asking for help is the very best thing you can do. Likewise, if you’re trying to complete a project but need access to something that somebody else has, the only way to move forward is to ask. Because I was in situations like these often, I learned early on that passionate people are almost always happy to help others grow in their own passions. Knowing this gives me the confidence to approach others and ask for help—something I still do regularly, and a skill that has definitely helped me in life so far. There are far too many people in the world who feel that true learning can only happen in a classroom. Homeschoolers know this isn’t true, and they make the entire world their classroom. Not only that, they remain students far beyond 12th grade--even after their college years have passed. I still make a point of learning every day, and because learning has always been presented to me as a fun and exciting thing, I love seeking out new information whenever possible. Sometimes this might mean teaching myself to make or repair something; other times it might just mean watching a documentary with my son. I'm a lifelong learner and I’m so glad this spark was lit in me as a child. 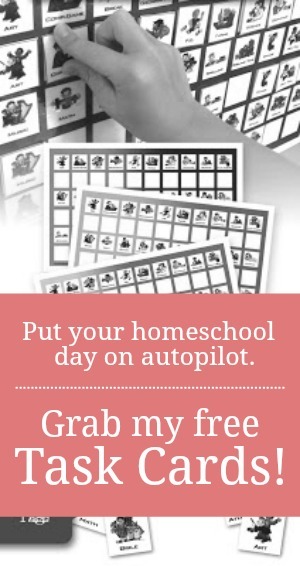 As a homeschooler, I was in charge of my own schedule. This was wonderful, not only because it meant more flexibility to my day, but also because it was the perfect way to learn time management in a low-stakes environment before I had to head out into the professional world. By the time I was in 6th grade, I could create a schedule that worked and use that schedule to stay on top of things all by myself. I still manage my time this way today. And sometimes, when things get super busy, my scheduling skills are all that keep me sane. Of course, these represent only a few of the amazing and wonderful things I learned as a homeschooled kid. However, I believe they are some of the most important things I've ever learned. 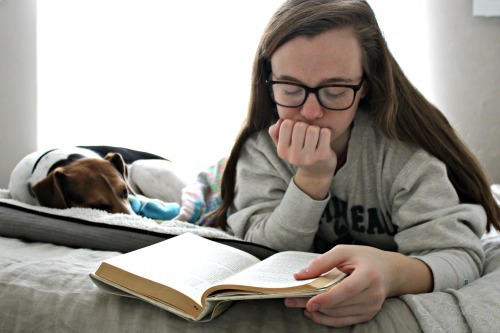 Chances are, I would have missed out on most of them if I had not been homeschooled and given the opportunity to take life at my own pace and figure things out for myself. So, homeschool mom, if you ever wonder if you’re doing the right thing by teaching your kids at home, know this: You are handing your children the most important lessons; things they'll never learn while sitting in a classroom. Chin up. You’re doing just fine! So encouraging! Thank you for sharing this as a grown unschooler. It is such a joy to watch my children learn to direct their own education, but it's good to hear that this lifestyle has long-term benefits. It's always relieving to see an end result. Now that there are many second-generation homeschoolers, there's measurable proof that it works!